A happy customer is our best advertisement and the following recent testimonials from clients show that our staff, from delivery drivers to sales people, delivers an excellent service in support of an outstanding product. Unique in their industry, Chesney's have consistently demonstrated the commitment and professionalism required to successfully deliver projects of substantial scale and great complexity. Kerry, Barny and Monty, E18. I was absolutely delighted to work with Chesney's. I have always wanted to collaborate with them, as they are the premiere fireplace company. They present and mix classical and contemporary designs very well. I wanted to make something simple and contemporary. The inspiration is classical and I have used the same motif for the shapes of the dogs and for the fireplace. I was concerned about getting the shipment to Norway in time for christmas, but the shipping was very efficient - I got the shipment a week before the promised arrival date. The service is first class, from the first discussion right through to the delivery, and the products are really excellent quality - expensive too, but good value givent he quality we think. It's just the sort of business we would like to have started! It is exactly what we had hoped to find and we are pleased to be given, not only pleanty of choice but very helpful advice over our final decision. We will, without hesitation, reccomend Chesney's to our friends! 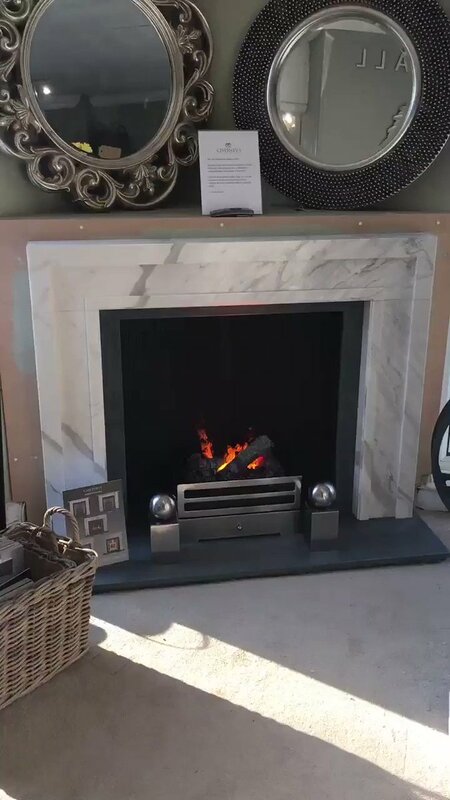 considerations governing the choice of chimneypieces, and delivered and installed a number of beautifully crafted marble chimneypieces.